Dr. Pallavi Rasane (MD) is a Physician at Dr. Gaikwad Diabetic Center. She specializes in Internal Medicine, Obstetrics, Pediatrics, and Gynaecology, and has around six years of medical experience. Once the condition is diagnosed, you can choose a frozen shoulder treatment measure based on the path you want to pursue, either surgical or non surgical. After the frozen shoulder symptoms are detected, the health care provider will carry out a diagnosis and examine your shoulder. X-rays of the shoulder will be taken to rule out other problems, such as arthritis. In some cases, an MRI exam may show inflammation, but there are no specific signs to diagnose frozen shoulder. Though frozen shoulder does resolve on its own in the due course of time, natural recovery might take longer and may not be complete. Therefore prompt frozen shoulder treatment should be carried out in order to control the pain and restore movement and strength to the region. Physiotherapy and certain help in reducing pain and restoring movement in about 90% of the patients. Medicines: Non-steroidal anti-inflammatory drugs like aspirin and ibuprofen help decrease the pain and swelling. Steroid Injections: Hydrocortisone injection, when given directly into the shoulder joint, helps in reducing the inflammation. Physical Therapy: Diligent physical therapy is often essential for recovery and can include heating modalities, ultrasound, electric stimulation, gentle progressive range-of-motion exercises, stretching, ice packs, and eventually strengthening exercises. 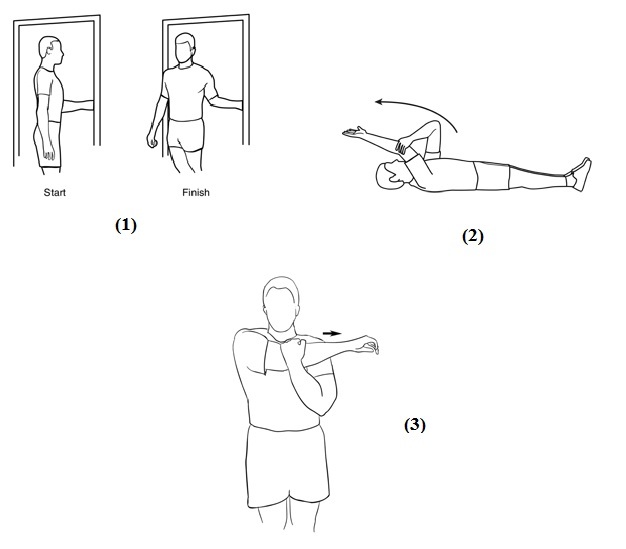 Lateral Rotation: Try to move your affected forearm about 90 degrees to touch the doorjamb while standing in a doorway. Now rotate your body without moving your hand. Hold this position for 30 seconds and relax. Repeat the same routine 10 times. Elevation: Lie down on your back, and elevate your affected hand with the help of other hand so that you are feeling a slight stretch. Hold this position for a few minutes and bring your hands down. Repeat this step ten times. Adduction: Stand in a relaxed posture and then, with the help of your normal hand, move your affected hand across the chest until you feel a gentle stretch. Relax and repeat this step another 10 times. These exercises are sure to help in bringing down the pain. Patients with resistant frozen shoulder are normally considered for surgical treatment. In this process, the scar tissue is released by arthroscopic surgery, under anesthesia. Hydrodilation or distension arthrography is another controversial treatment measure that’s prescribed for this condition. Treatment with physiotherapy and NSAIDs will usually return the motion and function of the shoulder within a year. Even if left untreated, the frozen shoulder can get better naturally in 24 months. Even if a frozen shoulder treatment measure like surgical intervention restores motion, you must continue performing the exercises to prevent recurrence. Frozen shoulder symptoms might differ, based on how far the condition has progressed. Keeping an eye out for such symptoms and opting for frozen shoulder treatment instantly helps in rooting it out during the early stages. Frozen shoulder or adhesive capsulitis is a condition characterized by stiffness and pain in the shoulder joint. The signs and symptoms of adhesive capsulitis begin gradually, worsen over time, and then resolve, usually within one or two years. Who Can Face Frozen Shoulder Symptoms? The incidence of frozen shoulder is about 2% in the general population. It is prevalent in the age group of 40-60 years and women are more prone to this condition than men. Your risk of developing a frozen shoulder increases if you’re recovering from a medical condition or procedure that affects the mobility of your arm – such as a stroke or an open heart surgery. People who suffer from frozen shoulder usually experience a dull ache along the shoulder. The pain is usually centered over the outer shoulder area and sometimes along the upper arm. For some people, the pain worsens at night, sometimes even disrupting normal sleep patterns. The pain can differ, based on the stage of the problem and how long it has been developing. The characteristic feature of this condition is an inability to move one’s shoulder, either actively or passively. Based on the stage of the condition, here are the frozen shoulder symptoms that you might face. Freezing Stage: During this stage, pain occurs even when the shoulder is slightly moved. Due to this, the shoulder’s range of motion becomes limited. The duration of this stage is about 6 weeks to 9 months. Frozen Stage: The duration of this stage lasts for about 4 to 6 months. The pain experienced begins to diminish in this stage, but the shoulder remains stiff. Thawing Stage: The shoulder becomes slightly usable through the course of this stage, and returns to normal towards the end. It may take about 6 months to 2 years for the shoulder to become completely normal or near-normal, and regain its earlier condition. Once these frozen shoulder symptoms are detected in a timely manner, diagnostic and corrective measures can be chosen faster. Most skin care tips that you read will advise you on how to maintain your inner health, and not without a reason. The true secrets behind a great skin tone are inner health and vitality. Yes, what you apply to your skin also has a role in maintaining gorgeous skin, but the key to life-long healthy skin depends on your state of overall well being. Food is the body’s fuel, and living on high-calorie and low nutrient junk food items will eventually reflect in both your health and skin. Although you should always try and follow a lifetime of nutritious eating, it is really never too late to start feeding your body right. Here are some dietary skin care tips that will help you reap the reward of glowing and healthy skin. Skip the processed, packaged foods and go straight to the fresh produce section of the grocery store. Processed food items hardly have any nutrients, so keep away from them. Fresh fruits and vegetables are high in antioxidants that protect every cell in your body and help prevent premature aging of the skin. Antioxidants play an important role in combating the toxins present in the body, so it is essential to include fruits and vegetables in your daily diet. Other health-promoting foods that are excellent for the skin include whole grains, nuts, fresh dairy products, lean meats, and fish. The right diet will take care of half the effort. Most skin care tips stress on the need to stay hydrated, and with good reason! Along with eating nutritious foods, be sure to stay hydrated. Your body needs at least eight glasses of water a day to function healthily, so drink up! Avoid soft drinks and relieve your thirst with water or your own unsweetened teas. Toxins build up in the body on a daily basis, and they cause blemishes and a dull skin tone. Drinking enough water will flush out the toxins, and you can also opt for high quality fruit or vegetable juices or herbal teas for this purpose. In addition to nutritious food and adequate fluids, regular exercise promotes healthy blood circulation throughout the body. This helps the skin by ensuring that every cell gets the nutrients and oxygen carried in the bloodstream. It also speeds the removal of metabolic wastes from the skin, keeping it toxin-free and clean. These three simple skin care tips can help you rejuvenate your skin and look young and fresh throughout. Worried about your systolic blood pressure level? With these tips, you can lower your systolic blood pressure! High blood pressure, or hypertension, is a health issue that a majority of Americans face sometime during their lives. Learning how to lower your systolic blood pressure is a great way to learn how to lead a healthier life. Before you proceed to learn some tips on reducing your blood pressure, you should be aware of systolic and diastolic blood pressure. What is systolic blood pressure? Blood pressure is the measurement of the force of blood pushing against the walls of the arteries as it is pumped by the heart. Normally, it goes up and down. However, if it becomes constantly elevated, then this becomes a medical concern. Blood pressure is measured in two numbers: the systolic number and the diastolic number. When your blood pressure is taken, it will be given to you in what looks like a fraction: one number over another. The upper one is the systolic number. It represents the maximum amount of pressure at any point of time. The lower number is the diastolic number, and represents the pressure during a relaxed state. Acceptable levels of blood pressure range under 120/80 mmHg. If your blood pressure ranges between 120/80 and 139/89 mmHg, you are likely to be affected by a condition called pre-hypertension. This means that you will most likely have high blood pressure in the future if you don’t change your lifestyle. A reading of 140/90 mmHg or higher is considered to be high blood pressure. The systolic number (the upper one) is the more important one to worry about when you consider your blood pressure level – this is the number that determines your stage of hypertension and how it should be treated. Why Should You Lower Your Systolic Blood Pressure? By lowering systolic blood pressure, you can reduce your risk of facing a heart disease, heart attack, stroke, and other medical conditions in the future. The lifestyle changes you may have to make to lower systolic blood pressure will make you a happier and healthier person overall! If you have a high systolic blood pressure reading, the first thing to do is talk to your doctor about treatment possibilities. There is a chance that they will put you on medication. The most commonly prescribed type of medication is diuretics, also known as water pills, which flush excess water and sodium from your body to lower the blood pressure. Sometimes systolic blood pressure levels can be controlled simply by opting for a healthier lifestyle that includes regular exercise. It is recommended that people with pre-hypertension exercise for at least 30 to 60 minutes a day, as this will reduce their chances of facing high blood pressure later in life. It is necessary to do this on a daily basis for best results. You can try walking, cycling, swimming, or jogging, as these measures help in lowering systolic blood pressure. 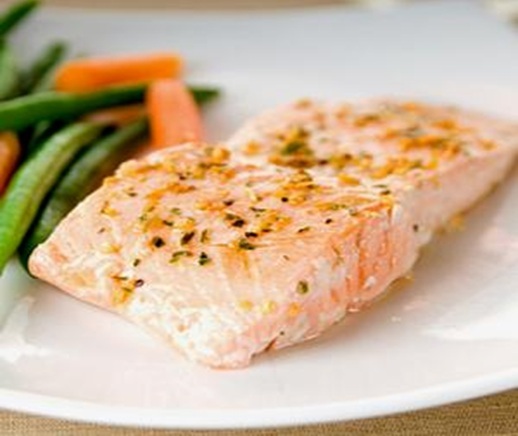 Changing your diet can help you bring down your systolic blood pressure too. You need to maintain a healthy weight, and you can do this by quitting smoking, reducing the amount of alcohol you drink, and eating a healthy diet. A hypertension diet should include greater amounts of fruits, vegetables, and whole grains and low quantities of fat and sodium. The nutrients potassium, magnesium, and calcium are important components of a healthy blood pressure diet. It has been scientifically proven that healthy food items can help lower blood pressure. Here are some of the best food items you can opt for. Low-Fat and Non-Fat Milk, Yogurt, and Cheese: Calcium has been proven to help regulate blood pressure, and most people don’t get enough calcium in their diet. It’s important that these dairy products are low or non-fat, however, because a high fat intake contributes to blood pressure. Dairy foods are often fatty, so be sure to read the labels when at the grocery store! Fruits and Vegetables: These are always important – especially citrus fruits, bananas, melon, spinach, strawberries, and tomatoes. What you really want from your fruits and vegetables for lowering systolic blood pressure is potassium. Potassium can be found in high quantities in most fruits and vegetables. Bread and Cereal: Whole grain rice, bread, pasta, and oatmeal are options that you can try out in your daily diet. Nuts and Seeds: These are rich in magnesium, which is one of the best minerals when it comes to lowering your blood pressure. Turn to almonds, soybeans, kidney beans, and lentils as sources of magnesium, and they’ll surely help. There are other controllable actions that contribute to high blood pressure. If you fall under any of these factors, it’s important to speak to your doctor and change your lifestyle soon. Diet is important, but it’s not everything! Age, diabetes, and a family history of high blood pressure can contribute as well, but unfortunately these are impossible to change. If you take the right steps without losing time, you can easily bring down your blood pressure in a healthy way!